By mid-2011, sales of BlackBerry devices were at their peak. Despite competition from the iPhone and Android handsets, this classic messaging device was still hugely popular. And out of all class BlackBerry handsets, the Bold 9900 probably represents "Peak BlackBerry". Designed very much in the theme of the messaging devices that pushed BlackBerry to popularity in the noughties, the BlackBerry Bold 9900 (aka the Bold Touch) had the familiar little QWERTY keyboard, a trackpad and a small but high-resolution 2.8" touchscreen display. On the back was a 5 megapixel snapper, and the Bold 9900 supported HSPA+ and WiFi connectivity. If you were a fan of the BlackBerry 7 and earlier operating systems, then this was definitely the device to have. But the question arose.. who WAS a fan of the BlackBerry OS? Google's Android and Apple's iOS were more powerful and more elegantly designed, and no matter how often BlackBerry tried to tweak this devices it was like putting lipstick on a pig. Or perhaps polishing a turd. This isn't to say that it was a bad device. If messaging was your thing, then this was very hard to beat. But web browsing was horrendous, apps were awful and the whole thing looked like a relic of a previous era. Which it was. It wasn't long until sales began to slide, and although BlackBerry made a few lower-cost "classic" devices following on from this, they were instead concentrating on an ill-fated attempt to move their devices to a completely new platform based on QNX. And that effort really made sales drop off a cliff. 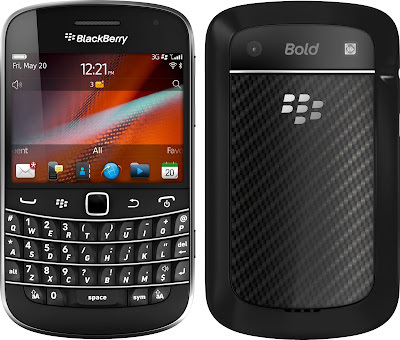 Recently, BlackBerry have started producing Android handsets with support for BlackBerry services built-in. Despite all the gloom, the 9900 still has its fans and prices for a good refurbished one can be €100 or more. It isn't really very practical as a modern smartphone though, although there are still many people who love their classic BlackBerry smartphones and don't want to give them up.